Los Angeles, CA – Carry the Love: L.A. is a ten-day compassion initiative that gathers students, churches and organizations from across California and the nation to share the tangible message of Christ’s healing and unifying love throughout the city of Los Angeles. 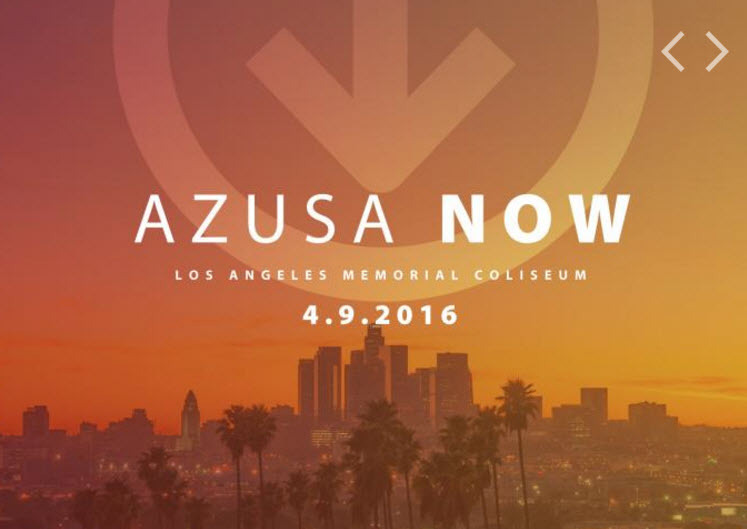 These acts of kindness and compassion will continue from March 30 to April 8 culminating with the Azusa Now gathering at the Los Angeles Memorial Coliseum on April 9, 2016. The goal of Carry the Love is to have 2,500 or more volunteer workers give 5 hours of their day to take action and demonstrate the message of Christ’s love and power to their neighbors and communities. This collaborative outreach movement seeks to bring hope, unity and life to the communities of Los Angeles with the help of ministries such as Circuit Riders (an affiliate of Youth With A Mission), Bethel Church, TheCall, The School of Power and Love, and various local church and ministry partners. Carry the Love will include a variety of local activities that include one-on-one prayer with people in high-traffic areas, revitalizing outdoor spaces in public housing developments, community BBQs, music festivals in city parks and after-school events in public high schools. For volunteers, each day will feature training and worship, neighborhood outreaches, and messages of hope, including: Tent Weekend, four simultaneous concerts in Los Angeles city parks (April 2-3, 2016); and Field Nights, three outdoor worship concerts with messages by various community and ministry leaders, including inspirational speaker Nick Vujicic. Carry the Love: L.A. will build momentum for the historic gathering of 100,000 uniting in prayer at Azusa Now. To publicize their mission, Carry the Love shared a spoken word piece performed by USC student Kelechi, titled “Will You?” In it, Kelechi continually asks listeners if they are willing to share the love of God by turning it into action: “Carry that love in your mouth. Carry it from words to action. Run that love to every faction, every corner, beyond lights, beyond borders, for together we are stronger. We are lights in the dark, and once you shine your lights will you carry it like a banner?” To view Kelechi’s video, see https://youtu.be/GsDvoh445dY. Due to the scope of the operation, Carry The Love heavily depends on church and community participation for maximum impact. For those who cannot donate their time, Carry The Love also accepts resources such as landscaping tools, materials, paint, clothes (ages 2-10), and pizza and donuts for high school after-school outreach. To register to participate during this ten-day compassion initiative, or to see a list of needed resources, find out more at www.CarryTheLove.com/LA.